Dish Hill is a good place to find mantle xenoliths in basalt. While small xenoliths can be find in much of the volcanic rock that comprises the hill, the best and largest peridotite xenoliths seem to be found around the low saddle that is on the left side of the image below. The coordinates are approximate and are in that area. Note that you'll probably have to park south of the train tracks and walk in to the site. 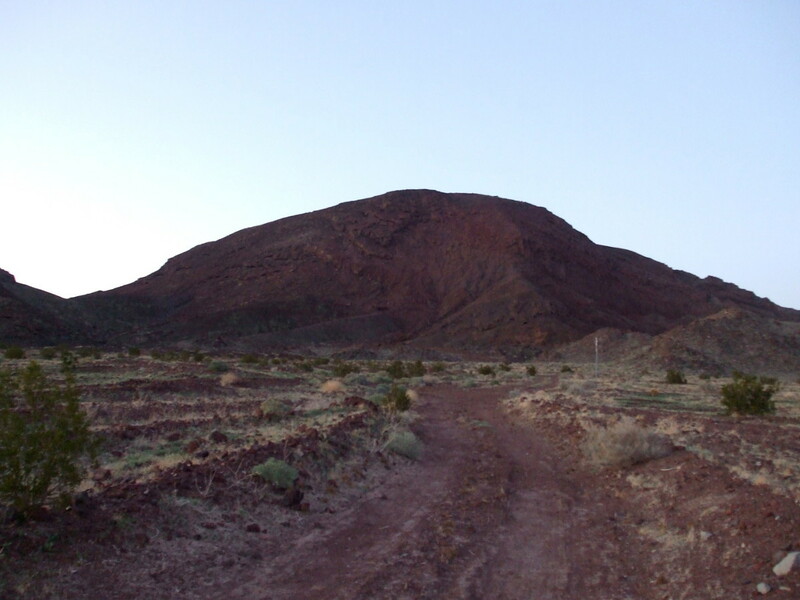 Amboy Crater, which is just down the road, is definitely worth a visit if you come here. There have also been many scientific articles published on the Dish Hill xenoliths. A quick Google search will turn up many more references.